Just Exactly What Are Analytics? Sure, we’ve all heard about analytics – stories about how companies have used analytics to save money, get to market faster, etc. are all the rage right now. 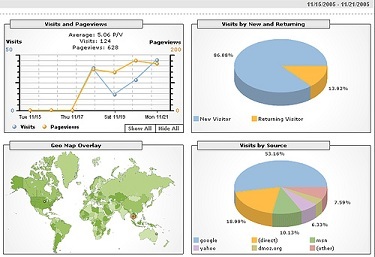 However, push aside all of the hype and just exactly what is analytics? If we had to come up with a definition that would cover as many of the situations in which analytics will be used in the next few years, then it’s going to have to be fairly broad. I like to define analytics as consisting of the technologies, applications, people, and processes that allow a firm to transform their data into actionable insights. CIOs need to realize that the real benefit of this wave of interest in analytics is for the company to be able to perform real-time data analysis. The company is going to have to be able to do this even as they struggle with more and more data feeds that are becoming more and more complex. What Are The Key Trends Happening In Analytics? As CIO you will have limited time. Is analytics important enough for you to be spending time on it or will it vanish overnight? The good / bad news is that it appears as though analytics are here to stay. The business benefits are too powerful for this trend to just fade away and creating a plan to implement analytics will only boost the importance of information technology at your company. Companies that are becoming interested in analytics are doing so for one of three main reasons. The first is the traditional reason that they view analytics as allowing them to achieve performance improvements. Other firms are investigating implementing analytics because they see it as a way to both identify and implement ways to cut costs. Finally, as competition between firms once again starts to heat up, firms are seeing analytics as a way for them to improve their customer service. Analytics and business intelligence has been around for a number of years. What makes this wave of interest appear to have legs is that it’s getting support from upstairs. A recent report stated that at 23% of the firms that were interviewed, the CEO was the driving force behind the analytics efforts. No matter how you look at it, CIOs have got to be involved in the roll out of the new generation of analytics within their company. In order to do this successfully, CIOs are going to have to make sure that they fully understand just exactly what analytics are. In a nutshell, analytics allow a company to transform their data into actionable insights. This means that real-time data sources are going to have to be leveraged and multiple data sources are going to have to be consulted. In implementing an analytics solution, CIOs are going to have to manage hardware, software, services, processes, and people. Is this effort really going to be worth it? The answer appears to be yes. The people who get paid to peer into the future are telling us that the area of analytics is set to explode over the next few years. Knowing this, CIOs need to take steps today to get ready. Question For You: Should CIOs focus on using analytics to improve company performance or reduce costs?